Pod Vaping Systems: A Better Way for Smokers to Vape? I quit smoking and started vaping in 2010, which is pretty much an eternity by the standards of the e-cigarette industry. So many generations of vaping hardware have passed since then that the e-cigarette I started with really doesn’t resemble any products available today at all. There’s a reason for that: The e-cigarettes of 2010 were terrible. You could use one as a surrogate for a tobacco cigarette if you were truly determined, but many people in those days weren’t quite determined enough to make the switch to vaping a permanent one. They ended up returning to smoking or only vaping part of the time. 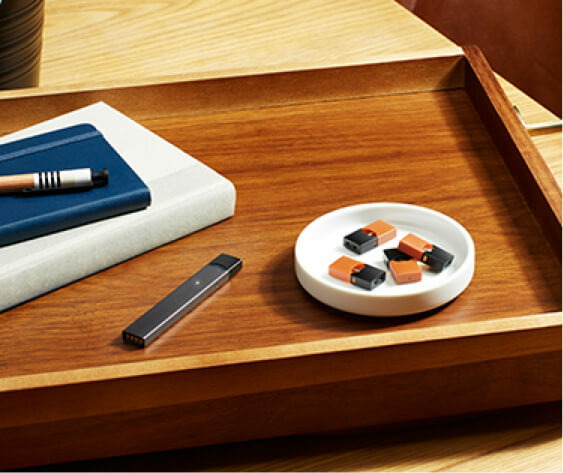 Pod vaping systems are vaping devices designed to satisfy smokers so completely that the thought of returning to tobacco cigarettes would never occur to them. Pod systems have taken the world by storm and now represent a large part of the hardware selection at many vape shops. So, what are pod vaping systems – and is a pod system the right choice for you? Let’s explore them together. As much as vaping technology has improved over the years, the biggest problem with mass-market e-cigarettes has persisted to this day: They simply aren’t satisfying enough. They don’t deliver nicotine efficiently enough to satisfy the needs of smokers in the real world. That’s why so many people start out with cigalikes from convenience stores but ultimately gravitate to larger devices such as box mods. Sub-ohm vaping systems, though, have their own set of problems. Those problems include rapid usage of e-liquid, short atomizer coil life and enormous vapor clouds that – let’s face it – non-vapers often find a bit obnoxious. Are you a vaper who uses a large sub-ohm device? Did you begin using it because you wanted to chase clouds, or did you go down the cloud chasing path because your first e-cigarette left you unsatisfied? If you’re part of the second group – and your first e-cigarette had been a pod vaping system rather than a mass-market cigalike – you might not be using a sub-ohm device today. To find out why that might be the case, let’s learn more about pod vaping systems and what makes them different from cigalikes. The primary difference between a pod vaping system and a cigalike is that a cigalike stores its e-liquid in a gauze-filled cartridge, and a pod system stores its e-liquid in a hollow pod. In a cigalike cartridge, capillary action alone draws e-liquid from the outer portion of the gauze to the atomizer coil in the middle. In a pod system, the heating coil is at the bottom of the pod; gravity ensures that the coil always stays wet. Generates vapor and avoids dry hits more reliably, even if you’re chain vaping. Stores more e-liquid in its pods than a cigalike does in its cartridges. Offers more vaping time per battery charge. Looks less like a tobacco cigarette. Some pod vaping systems resemble USB sticks. Others have more whimsical shapes. You’d never mistake one for a real cigarette. Although all of those features are certainly notable, I have yet to discuss the biggest feature of pod vaping devices – the feature that makes them so much more satisfying than mass-market cigalikes. What Makes Pod Vaping Systems So Satisfying? The reason why pod vaping systems have found such favor among former smokers is because most pod systems use nicotine salt e-liquid. Follow the link to learn more about nicotine salt. In short, though, the Juul e-cigarette – the first pod vaping system to reach a wide audience – used nicotine salt e-liquid. The Juul came to the market with a patent and a bevy of research suggesting that nicotine salt makes it possible for a vaper to achieve blood-nicotine levels almost like the levels he or she would get from smoking. The Juul also came with an eyebrow-raising nicotine strength of 50 mg – a far cry from the 18 mg or so that many cigalikes used. The Juul became very popular, very quickly. It is now America’s most popular e-cigarette. Before long, vaping product manufacturers around the world released pod systems of their own – and by 2018, bottled nicotine salt e-liquids were available just about everywhere. In the United States, the two most common strengths for nicotine salt e-liquids are 25 mg – for existing vapers who want to try “downgrading” from sub-ohm devices to pod systems – and 50 mg for those who still smoke cigarettes. Should a Pod Vaping System Be My First Vaping Device? For smokers, there’s much to like about pod vaping systems. They’re simple to use and very reliable. Most importantly, they deliver nicotine almost as efficiently as tobacco cigarettes. If you’re a smoker and are thinking about making the switch to vaping, a pod vaping system absolutely deserves your consideration. Should I Try a Pod System if I Already Vape? If you currently use a sub-ohm device and are tired of the daily coil replacements and massive e-liquid usage, it might be worth your while to try a pod vaping system. It’s wise to read some reviews, though, before settling on a device to buy. Online websites such as License to Vape review and cover many of the new devices that are coming out. Since just about every manufacturer that you’ve heard of – and quite a few that you haven’t heard of – now has a “me too” pod device available, you’ll find that they vary greatly in quality. If you’re an existing vaper, one thing I strongly recommend is that you steer clear of the devices with pre-filled pods and instead look for a device with pods that you can fill yourself. Pre-filled pods aren’t just expensive; they also contain too much nicotine for you. If you’ve already switched fully from smoking to vaping, you’ve adjusted to the lower amount of nicotine and have no reason to switch to something with 50 mg of nicotine per ml.